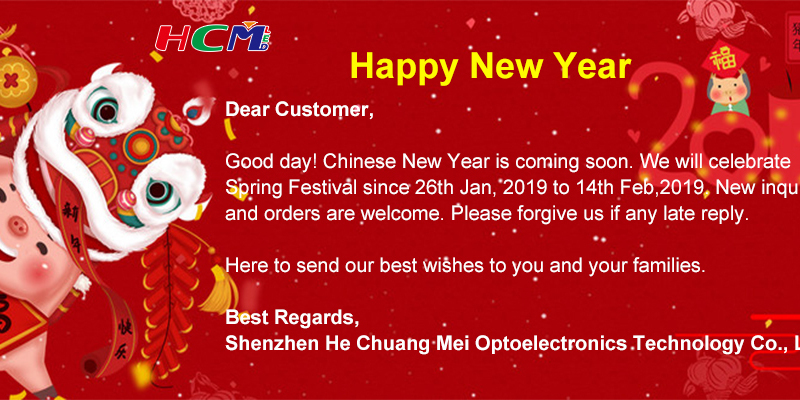 Shenzhen HCM Optoelectronics Technology Co., Ltd established in 2010, is committed to be the globally leading and respected provider for products and services of visual display, events large screen and advertising media. HCMLED is a national-level high-tech company , whose business involves Indoor rental LED display , Outdoor rental LED screens, Indoor fixed LED panels, Outdoor fixed LED advertising billboard and HD pixel LED video walls, etc. 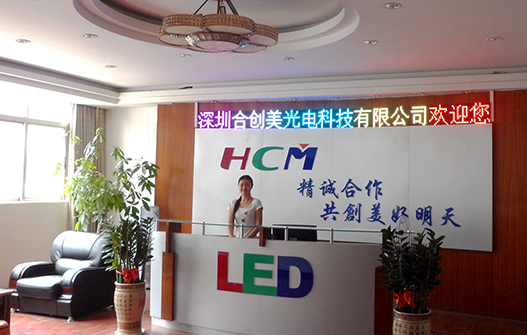 HCMLED is a professional high-tech manufacturer engaged in LED display and peripheral products R & D, production, sales and service in one. 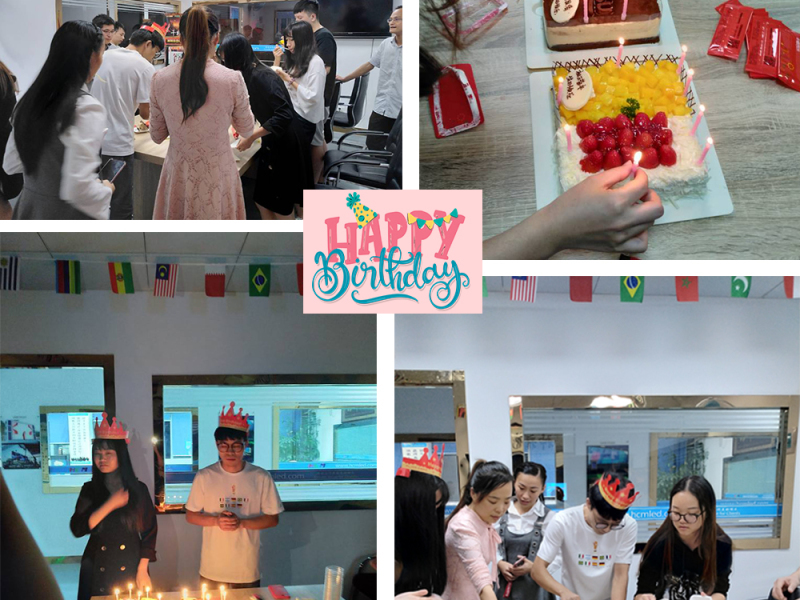 Companies rely on advanced management mode, strong R & D and excellent technical ability and rich in raw materials supplier chain, to produce high quality products, the company spent more than 6 years of time, carefully built a professional platform for a modern enterprise. The company sells according to market demand, industrial chain business model, has formed a complete advanced system of production, is one of the fastest development high-tech enterprises in domestic industry and the world's. Heretofore, over 200 people are employed at the company's headquarters, and more than 2 factories are set up domestically. A consolidated sales and after-sales service network is being established over the world which will provide customers with solutions, technological training and specialized support. HCMLED holds the leading position in its main business of LED screen manufacturing, which can provide a wide range of indoor, outdoor, and rental LED screen with pixel ranging from P1.9-P31.25. They are widely applied to the wedding events, cooperation events, gala, festivals, concerts, shows, sport events, conferences, motor show, advertising media and event planning, etc. HCMLED will continue to spare no efforts in reinforcing its position as a product, technology and market. HCMLED always contribute our efforts to help our customers improve visual effect and fulfill its social responsibilities. Companies rely on advanced management mode, strong R & D and excellent technical ability and rich in raw materials supplier chain, to produce high quality products, the company spent more than 6 years of time, carefully built a professional platform for a modern enterprise. The company sells according to market demand, industrial chain business model, has formed a complete advanced system of production, is one of the fastest development high-tech enterprises in domestic industry and the world's. With a large number of highly educated, professional skills and rich experience of talent development and technical personnel and management personnel, pay attention to product development, continually updated, will continue to expand the power of technology, innovation. Our company abide by the "quality first, integrity-based" operating principle for the concept, with the market oriented, science and technology as the basis, with a large number of highly educated, professional skills and rich experience of talent development and technical personnel and management personnel, pay attention to product development, continually updated, will continue to expand the power of technology, innovation. HCMLED offers very cost-effective products, professional sales and post-sales, technical support have won the favor of clients from home and abroad! Also we will continue to regulate the production, quality, sales, and service of all aspects of the management and dedication for the new and old customers to provide more with market competitiveness of products and services, and actively carry out the business at home and abroad, strive to expand the international market, a new attitude to meet a better tomorrow.